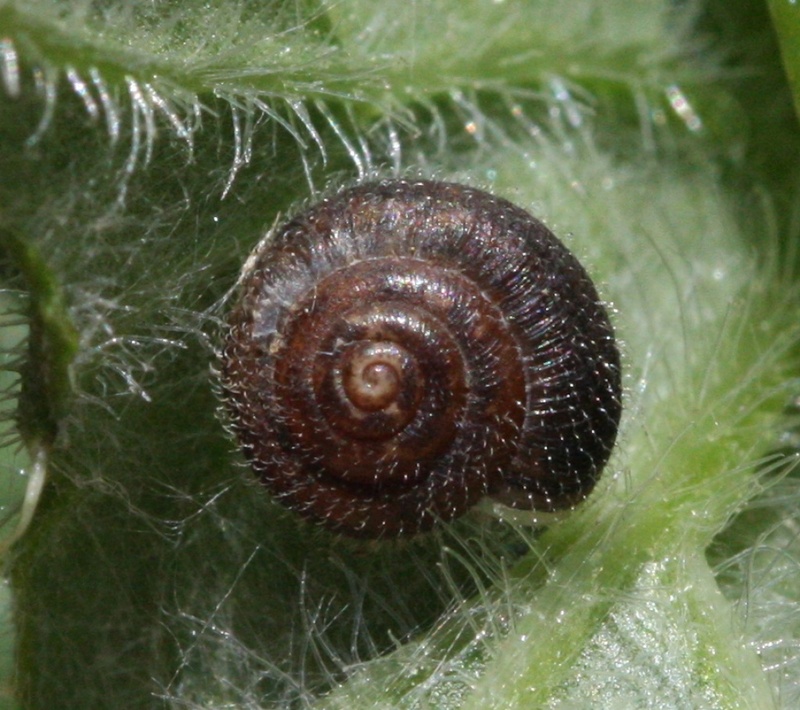 Shell 6 mm. 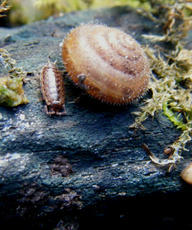 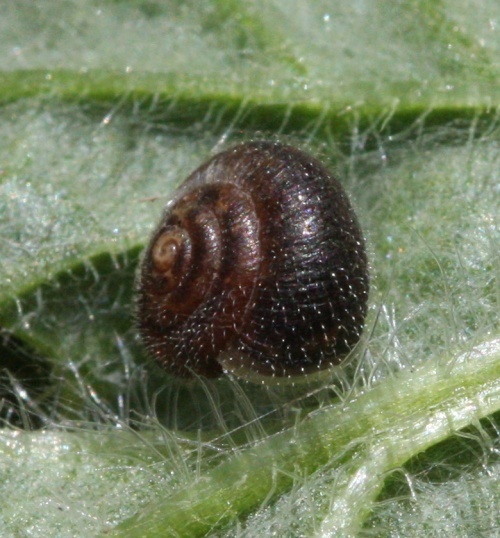 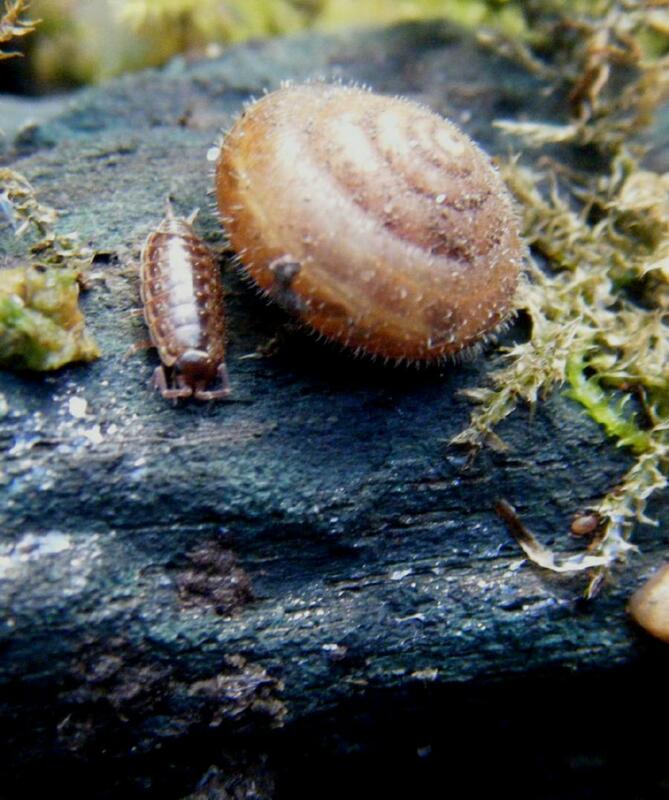 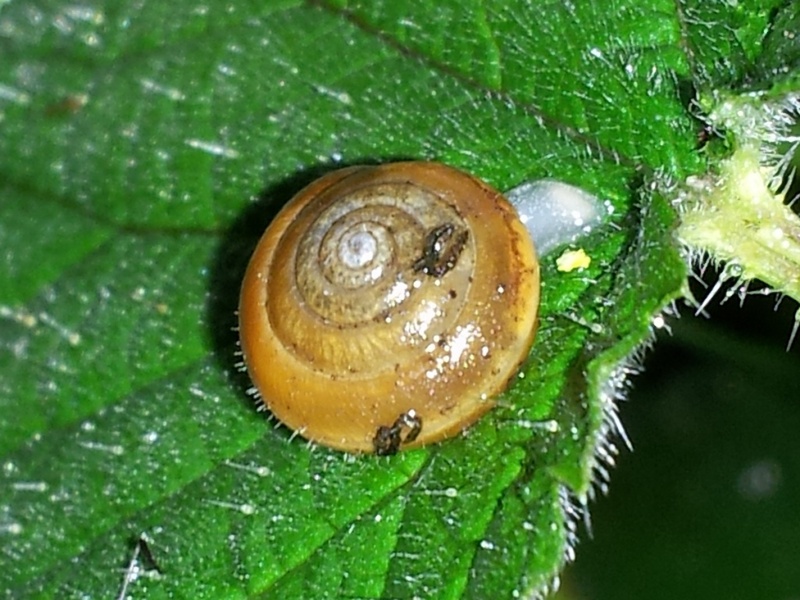 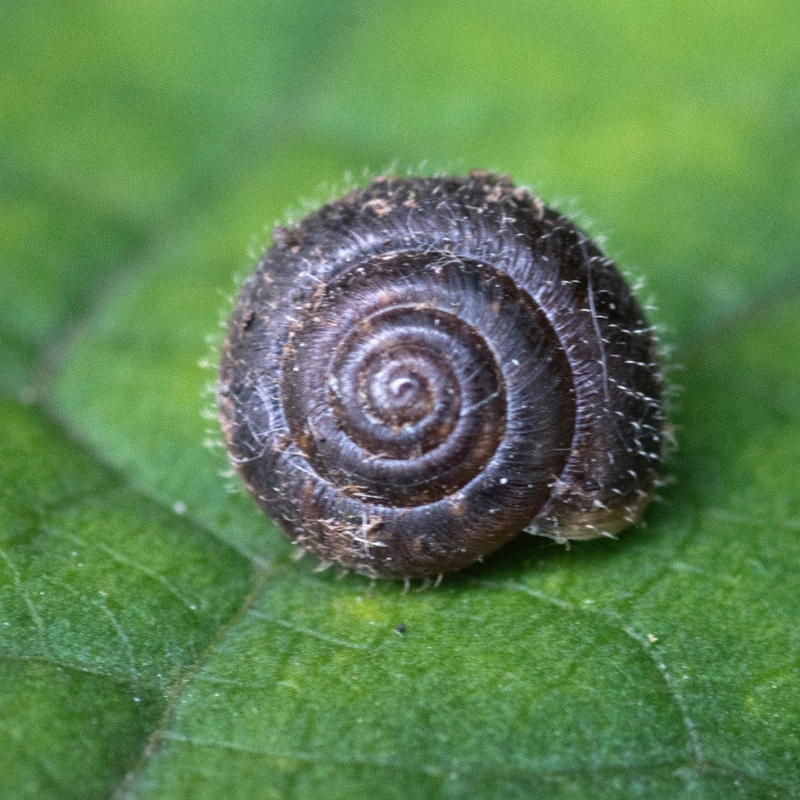 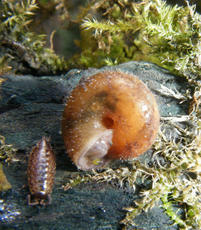 The hairs on the shell wear off, but can usually be seen inside the umbilicus, which is quite well defined in this species. It is relatively flat, lacking a noticeable spire. 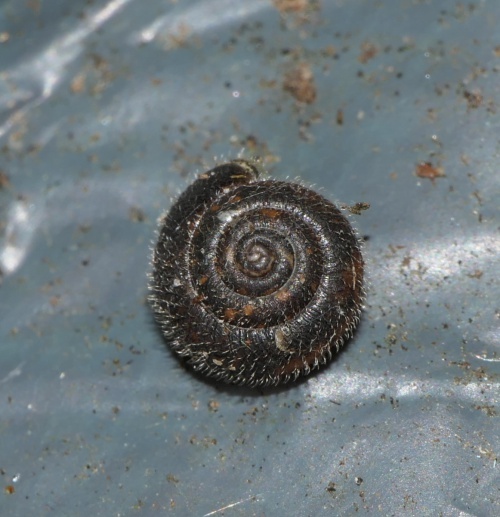 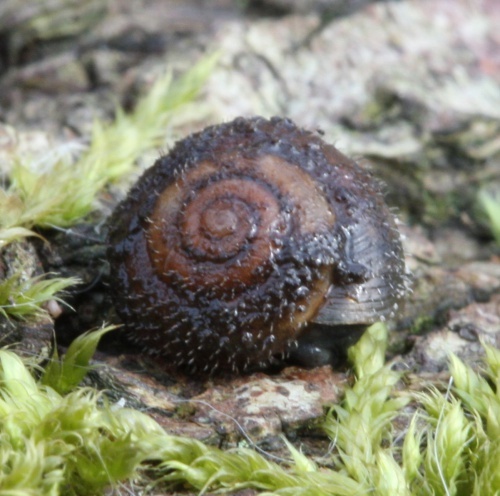 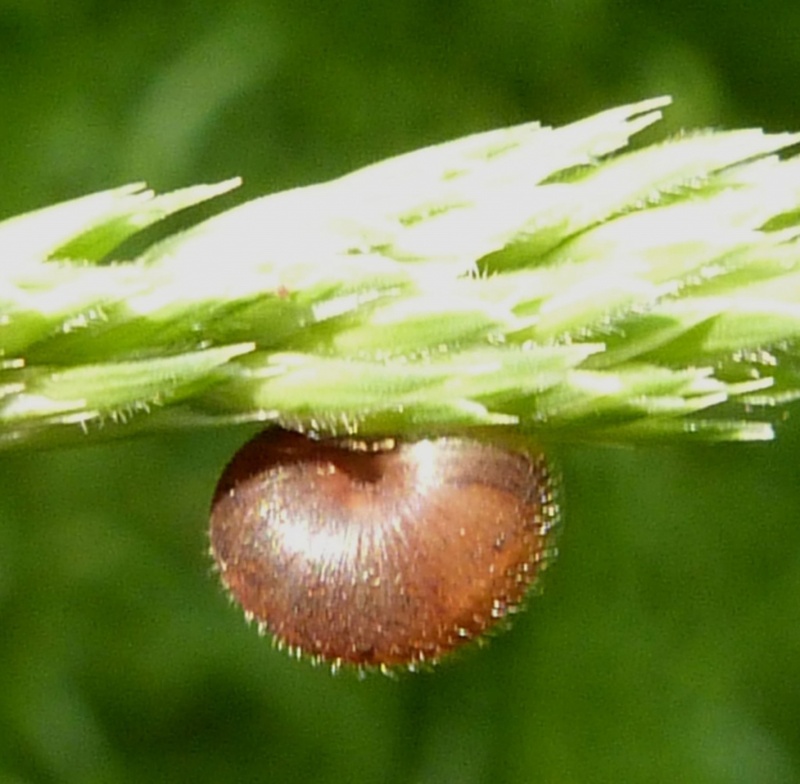 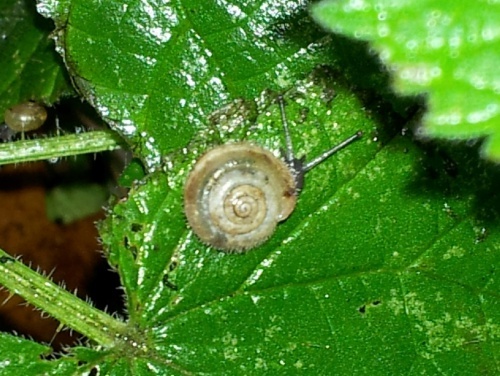 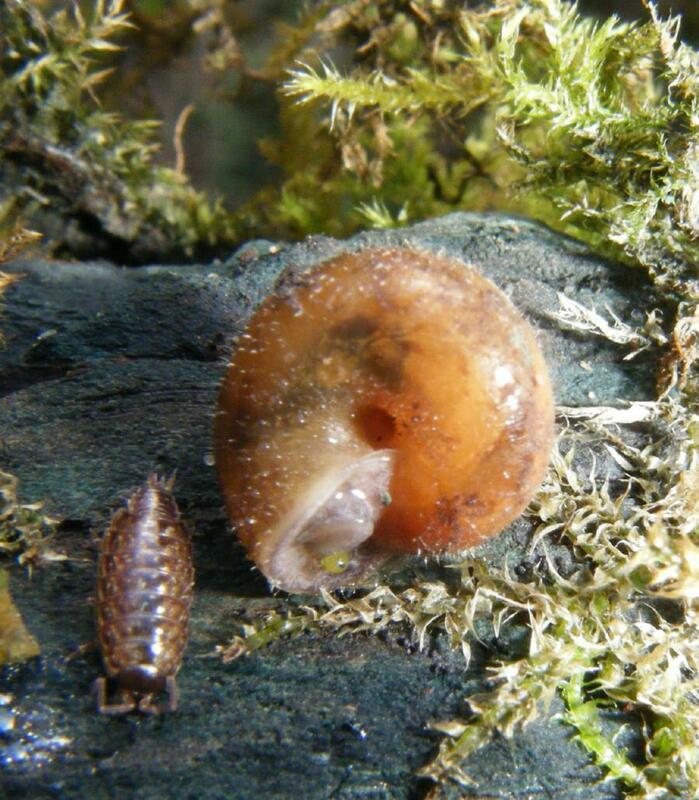 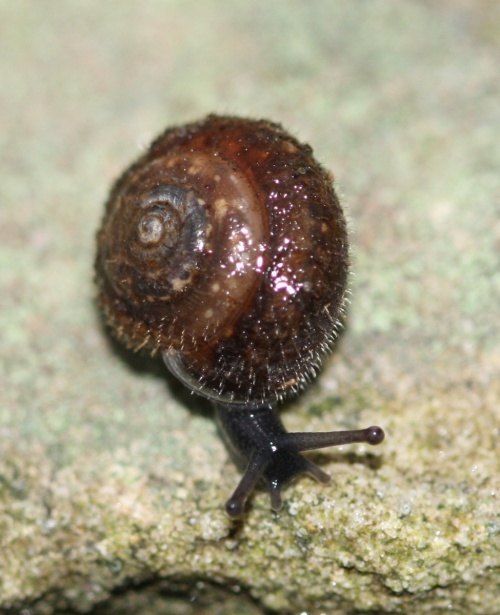 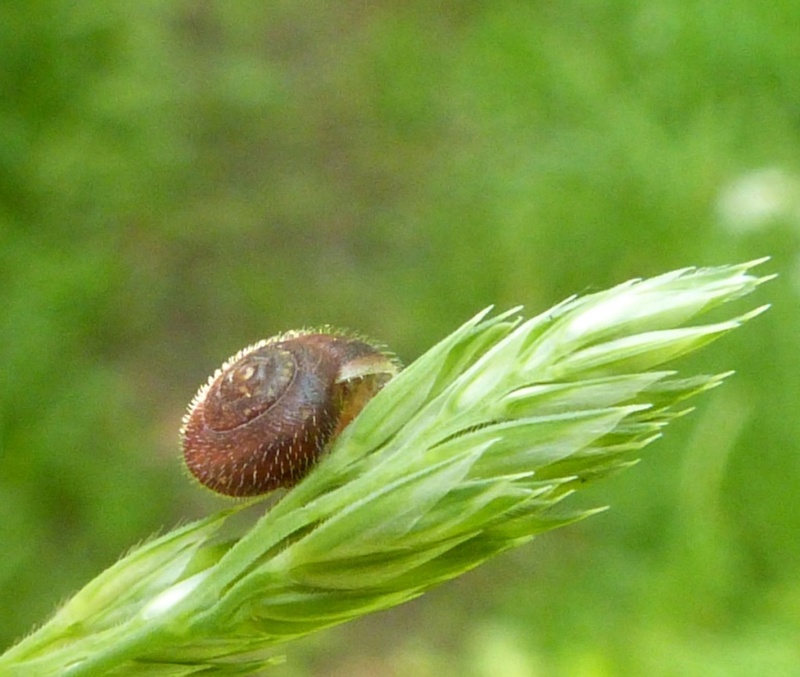 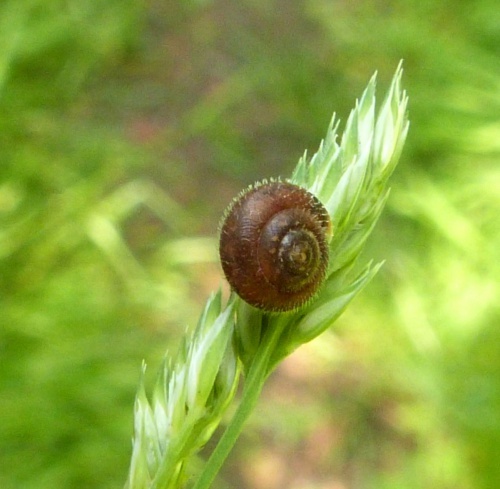 Ashfordia granulata is the other hairy snail in the region. 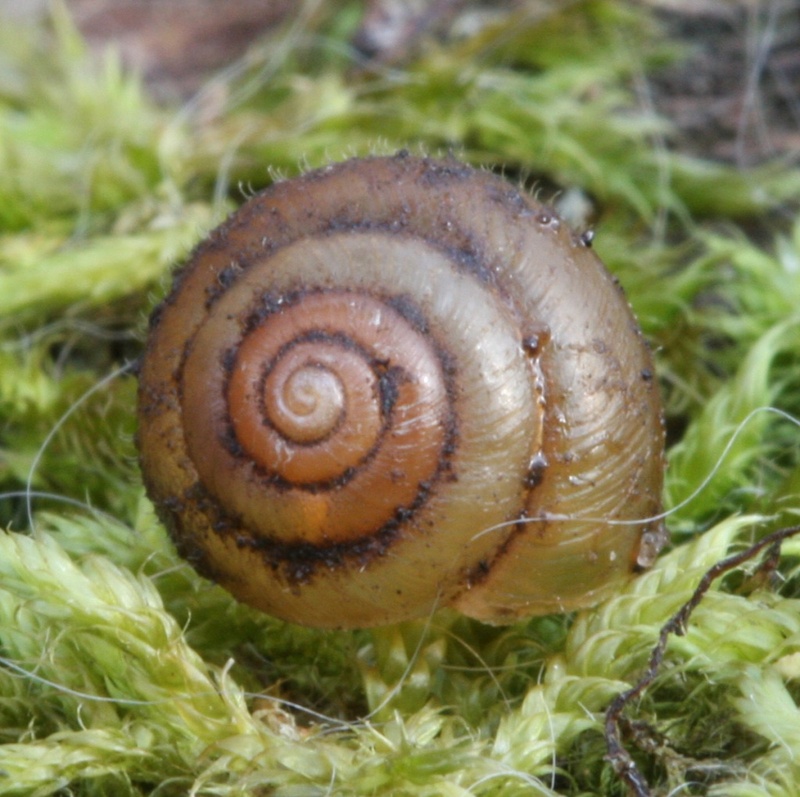 This has a smaller umbilicus and is more conical in shape. 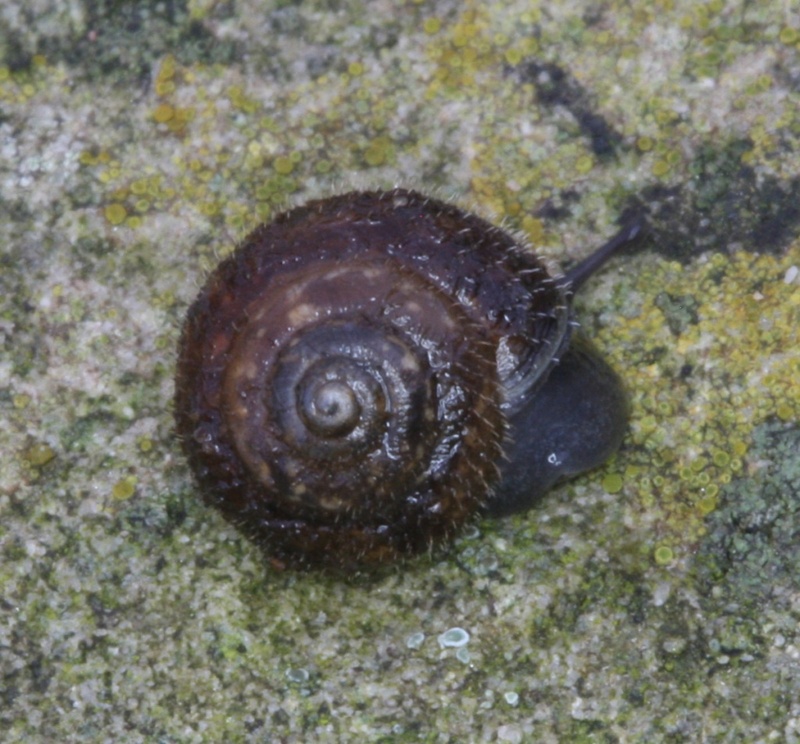 Widespread and common throughout most of Britain.